A rain barrel is a system that collects and stores rainwater from your roof that would otherwise be lost to runoff and diverted to storm drains and streams. Usually a rain barrel is composed of a 55 gallon drum, a vinyl hose, PVC couplings, a screen grate to keep debris and insects out, and other off-the-shelf items, a rain barrel is relatively simple and inexpensive to construct and can sit conveniently under any residential gutter down spout. Ready-made rain barrels can be purchased from a number of companies, including hardware stores and garden supply stores. 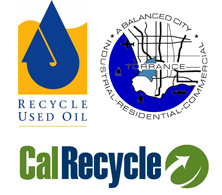 The Rain Barrel International is now offering a series of Truckload Sales in the Los Angeles area. Rain Barrels are available for $85, purchases must be made online in advance of event. Visit their website www.RainBarrelsIntl.com for a list of upcoming events. A rain barrel diverts water from municipal storm drain systems and protects our water systems from runoff pollution. A rain barrel collects water and stores it for when you need it most, during periods of drought. It provides an ample supply of free “soft water” to homeowners, containing no chlorine, lime or calcium making it ideal for gardens, flowerpots, and car and window washing. A rain barrel will save most homeowners about 1,300 gallons of water during the peak summer months. Saving water not only helps protect our environment, it saves you money and energy by decreased demand for treated tap water. Diverting water from storm drains also decreases the impact of runoff to streams. Therefore, a rain barrel is an easy way for you to have a consistent supply of clean, fresh water for outdoor use. Click here for Tips to Place and Maintain a Rain Barrel. The Metropolitan Water District also offers a $75 rebate for up to 4 rain barrels per household! 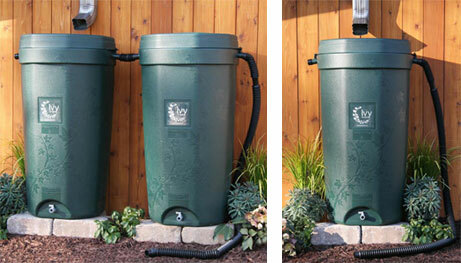 To receive rebate, the barrel must be at least 50 gallons and designed for the intended purpose of rain capture. Click here for Rebate Guidelines. For further rebate information visit www.socalwatersmart.com or call 1-888-376-3314.